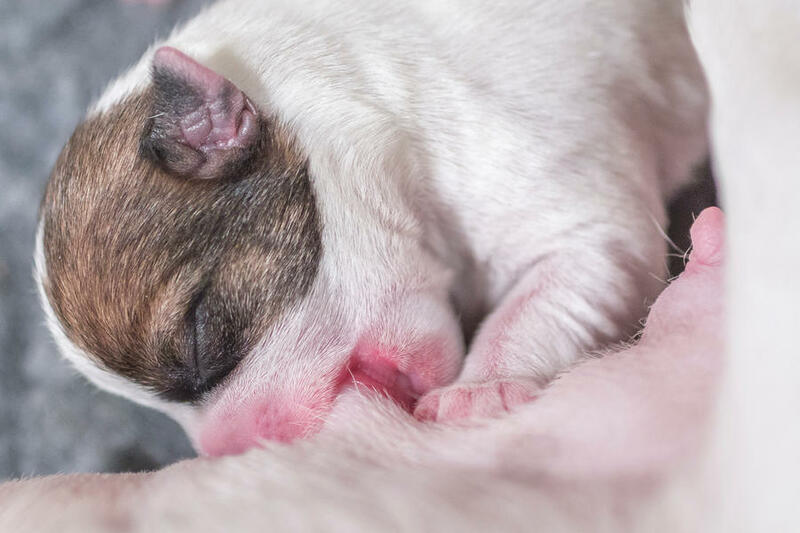 Last morning, our Jack Russel Terrier Olivia gave birth to three puppy's. But the last one lives! His name is Johnny. Mother Olivia is named after a children tv cartoon, but often reminds people of Olivia Newton John. This is why we chose Johnny as a refrence to John Travolta. A small oddity: Mother Olivia has a little dot right on her head. Like an on/off button. All three puppy's have that same dot! Too sweet to be spam! Born on Chinese New Year, 2018 The Year of the Dog! How fitting is that! That is one very fortunate puppy!